We were invited for the Alumni of Baglakot Dental college, where my husband and I had worked for more than a decade. It was a well-organized function on 19th January 2018 and we were enjoying our dinner when a young dentist approached our table. “Madam, you may not remember me. You left the college in 2005 and I had the opportunity to listen to just one lecture of yours. And it influenced me so much,” he said. I was very curious to know what it was that influenced him so much. I was overwhelmed to hear that. 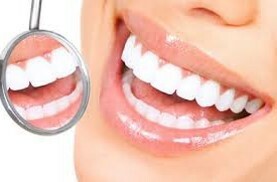 Not damaging the healthy tooth structure is the basis for my approach to dentistry till today. Somebody hearing that once and following it in the dental practice was very gratifying. I know many dentists who say, ‘Just keep on cutting the tooth till you can locate the canals’, and I find that very heart breaking. ‘Thank you so much for letting me know,’ I said. He went off, brought his wife with him, and they took a photograph with us. It is at moments like this that I thank God for making me a teacher.